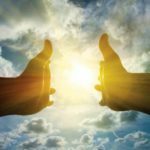 On July 17, 2014 the madness of three-month-long Ukrainian military conflict in the East has brought the first shocking international consequence. At 3.20PM GMT the Malaysian Airlines Boeing 777-200 jet flight #MH17 en route from Amsterdam to Kuala-Lumpur disappeared inside the Ukrainian airspace right above the area of intense military combat in Donetsk region and crushed near Grabovo village, around 60 km to the east from Donetsk. All 283 passengers and 15 crew members have reportedly died. 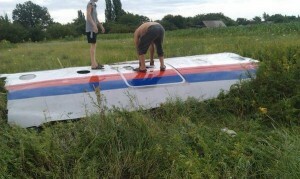 So regardless the flight MH17 incident was caused by the criminal negligence and incompetence of the Ukrainian military or deliberate (and reckless) Kiev’s provocation to put blame on Russia, the strong international commitment to make Kiev immediately halt its punitive actions in Novorossia until all the circumstances of the tragedy are thoroughly investigated is urgently needed. The most thrilling detail is that the launcher on the video is missing ONE rocket. IMPORTANT NOTE: the video was widely used in pro-Ukrainian propaganda falsely claiming that it was shot in Krasnodon, a city of the Lugansk region under rebel’s control, as an evidence of the latter’s involvement in the incident, an allegation which was immediately refuted by the experts familiar with the local landmarks. 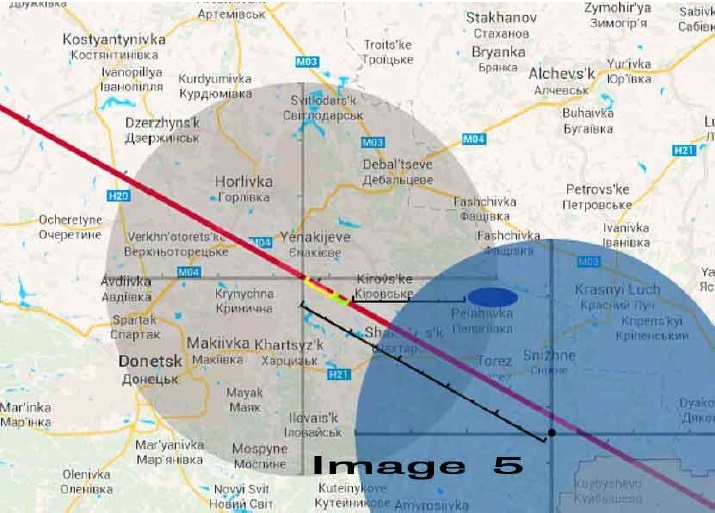 Key findings of the Russian satellite control of the area of the flight #MH17 catastrophe were presented. 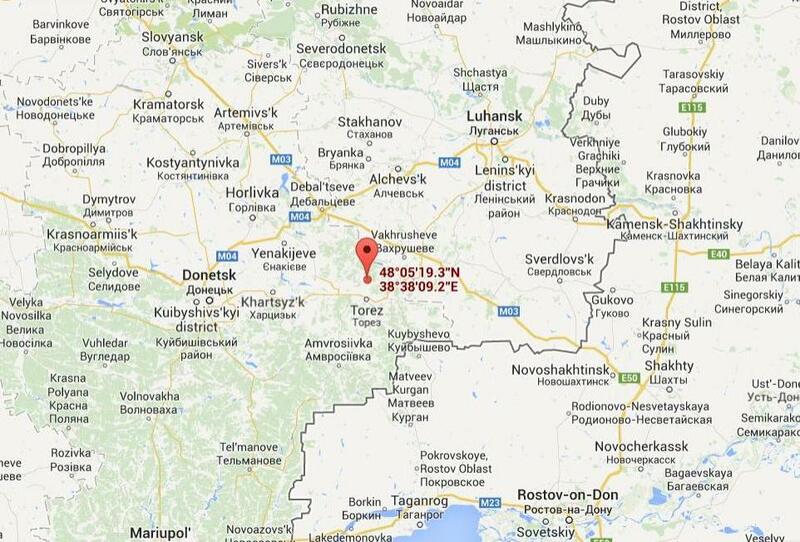 The Malaysian jet has deviated from the recommended transit corridor in Donetsk area 14km to the north. Then it tried to maneuver back to determined corridor, but did not succeed. 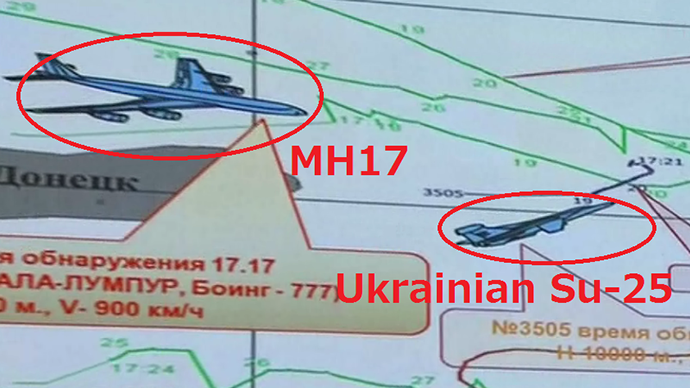 At 17.20 MSK the steady fall of speech of the aircraft was detected, at 17.23 it disappeared from the radars. A Ukraine Air Force military jet SU-25 was detected gaining height, it’s distance from the Malaysian Boeing was 3 to 5km. The SU-25 fighter jet can gain an altitude of 10km, according to its specification. It’s equipped with air-to-air R-60 missiles that can hit a target at a distance up to 12km, up to 5km for sure. 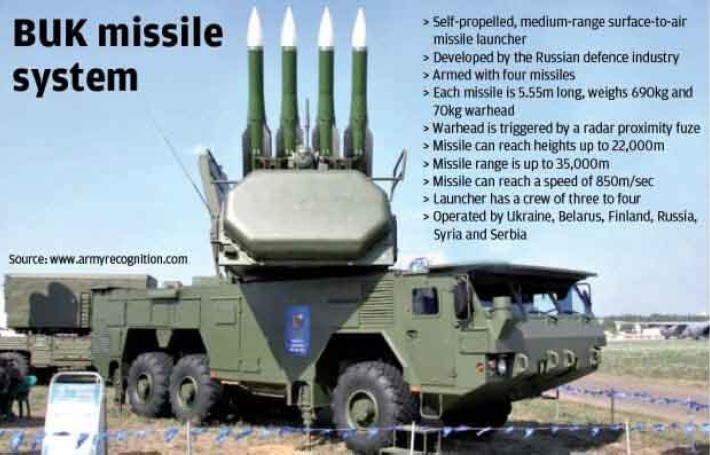 MH17 crashed within the operating zone of the Ukrainian army’s self-propelled, medium-range surface-to-air ‘Buk’ missile systems, the Russian general said. …There were 7 radars operating on July 15, 8 radars operating on July 16, and 9 radars operating on July 17 in the area. 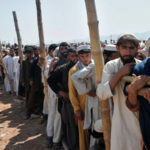 Then, starting with July 18, the intensity of radar activities radically decreased, and now there are no more than two or three radars operating a day. The reason behind this is yet to be found. There is a strong feeling that the evidence presented by General Kartapolov is hardly a comprehensive picture of the incident available for the Russian military command. 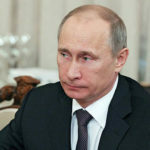 The main task of the press-conference was most likely to demonstrate that the Russians have plenty of aces in hands and any further unsubstantiated claims from Washington will be bet by strong set of relevant Russian documented data. Where are your data of technical control over the area you’ve been based on when accusing “separatists” in shooting down the aircraft, President Obama? A Ukrainian military source reports that “On July 17 the commanding officer of 156th Anti-Aircraft Regiment was instructed to conduct a training exercise of ground troops stationed near Donetsk, which involved deploying the troops, and carrying out a routine tracking and destroying of targets with the Buk-M1 missile. Two Sukhoi Su-25 combat aircraft on a reconnaissance mission participated in the exercise. 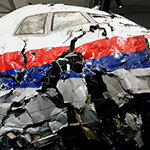 It is likely at some point, the routes of the Malaysia Airlines Boeing 777 and a Su-25 jet overlapped. Despite flying at different levels, they became a single dot on the radar of the missile system. Of the two, the system automatically chose a larger target. According to the source, despite the real launch was not intended, the commanders RECEIVED THE UNLOCKING KEYS TO ENABLE THE SYSTEM. A detailed report on #MH17 based on the available evidence was released earlier today by The Saker (PDF can be downloaded from Google Drive or Media Fire). 1. The Buk M1 Missile System consists of a number of independent components which operate in unison but which are typically situated at a distance from one another. The networked components provide medium range defense against aircraft, cruise, and ballistic missiles. The core system components consist of a primary search and target acquisition radar, a central command post, and one or more Transport Erector Launchers with Acquisition Radars which are known by the acronym TELARs. The primary search radar scans the airspace out to a range of 140 km in each direction. MH17 was travelling at 900 km per hour, or 1 km every 4 seconds. 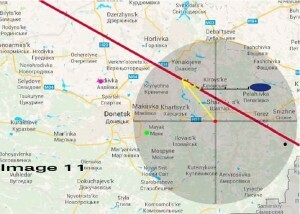 At this speed, MH17 would transit the area surveyed by the search radar in less than 9.5 minutes. 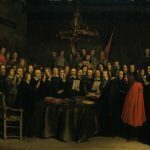 The amount of time available for decision making is therefore seen to be severely constrained. It must be noted that while the primary radar has a search range of 140 km, the radar on each TELAR unit only has a range of 42 km. 2. Ukraine Air Traffic Control informed Malaysian Airways that radar contact with MH17 was lost at 1623 local time or 1423 GMT. MH17’s last reported radar position showed it to be 50 km from the Russian border on a course of 118 degrees true, traveling at 490 knots, or 907 kmh. We can plot this data and begin to develop an understanding of what must have occurred. The debris field outside Hrabove is aligned along a track of 090 degrees. This is a significant deviation from MH17s last reported course of 118 degrees. We can extended this 090 degree track to the west until it intersects with MH17’s course at a point 50 km from the Russian border. This point is near the likely point of catastrophic failure of the aircraft and its systems. These combined tracks are shown in Image 2. 3. Russia has released satellite imagery which depicts a Ukraine Buk 1 emplacement 30 km east of Donetz and 8 km south of Shakhtars’k. A missile fired from this position would have a flight time of 21 seconds to reach MH17’s track. During this period MH17 would have travelled 5.2 km. 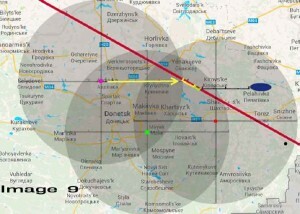 If we move 5.2 km back (Yellow segment) along MH17’s course of 118 degrees and draw a circle with a diameter of 70 km we can identify an area within which the Buk launcher must have been located. 4. When we combine all this data in a map representation we see what is pictured in Image 4. 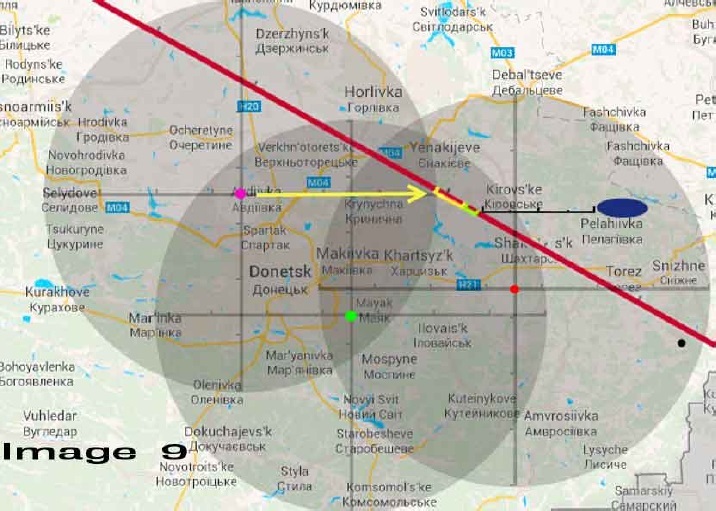 The red line shows MH17s course of 118 degrees. The adjacent scale is 50 km long and depicts MH17’s distance from the Russian border at the time it disappeared from ATC radar. The point of missile impact must have been to the northwest of this 50 km distance. 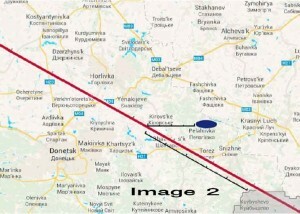 The debris field between Rozsypne and Hrabove (Grabovo) is depicted by a blue oval approximately 10 km in length. 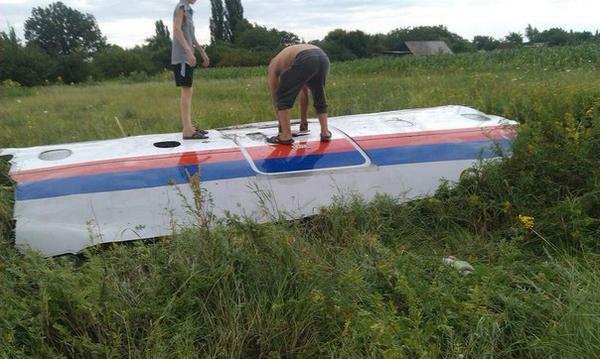 The distance from the western end of the debris field to MH17’s course of 118 degrees is 20 km. 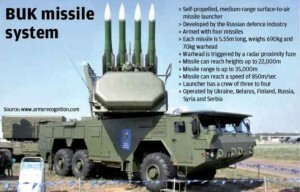 This accords with the expected trajectory of objects falling from 33,000 feet at MH17’s speed of 1 km every 4 seconds. 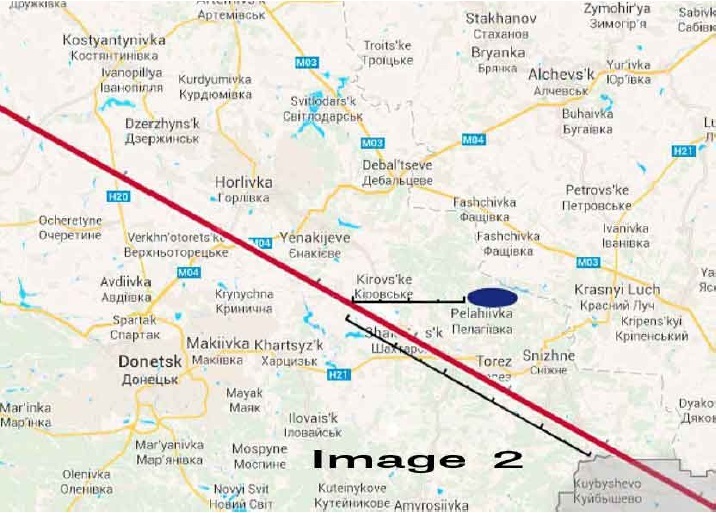 The green segment extending back along MH17’s track represents the distance travelled between 1623 and 1620, the time the citizens of Torez reported hearing one or two loud explosions and the time MH17 disappeared from ATC radar. The yellow segment extending further back along MH17’s track line represents the 21 second flight time of the missile. The gray circle depicts a range of 35 km centered on the end of the yellow time line segment. 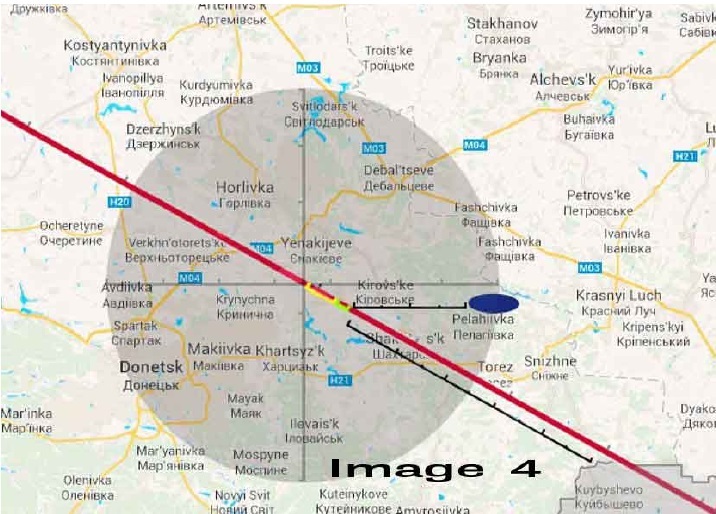 The missile that struck MH17 must have been located within this gray circle. 5. The Telegraph has reported (with the reference to unnamed “AP journalists” – OR) locating a rebel-controlled Buk firing position to the southeast of the town of Snizhnoe. 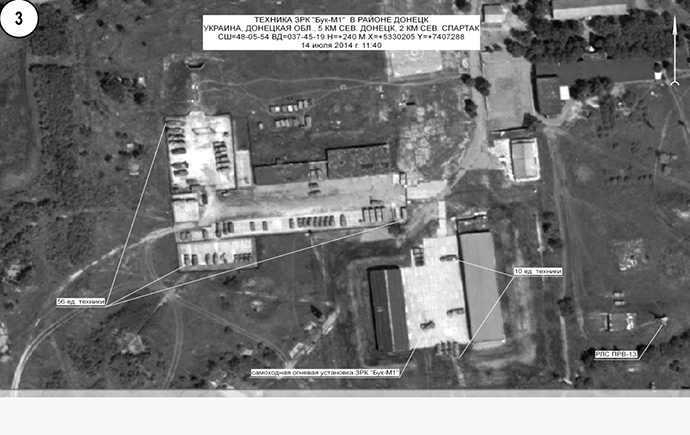 The site was located using photographs provided by the Ukrainian SBU (Security Service). 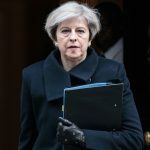 A reporter from the London Telegraph inspected the suspect area and located a patch of scorched earth in a grain field. The adjacent farm track showed evidence of a vehicle, possibly tracked, having passed through this location. This firing location was located on Google maps. It is depicted in Image 5. 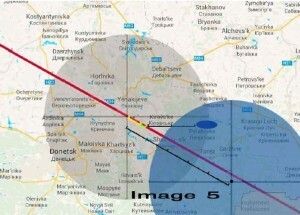 The blue gray circle represents the 35 km missile range of the 9М38M1 missile. The black dot at the center marks the Telegraph’s purported firing position. 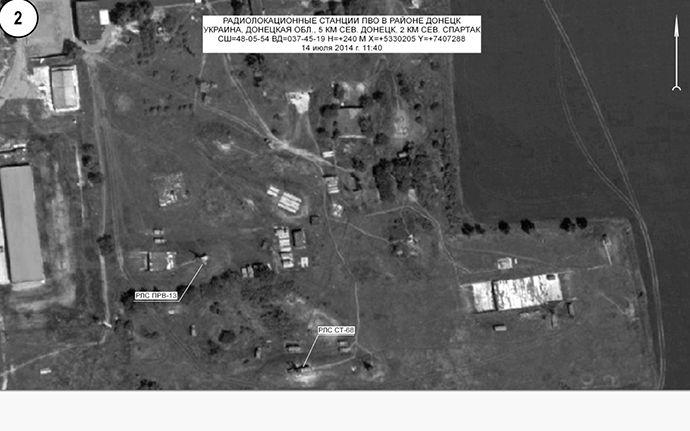 What is immediately clear from this imagery is that the point of missile interception lies more than 50 km from the purported firing position located south of Snizhnoe. It is well outside the 35 km range of a Buk M1 missile. There is absolutely no possibility that a Buk missile fired from this position could have struck MH17 and resulted in the ground impact outside Hrabove. The radar on the TELAR unit could not have seen MH17. The aircraft was outside both the 42 km radar range and the 35 km missile range. It is noted that the BBC had a team in the Snizhnoe area and they also searched for a Buk firing position. They found nothing and received no citizen reports of sighting a missile contrail. The Telegraph came along later and did locate a position marked by scorched earth and heavy equipment tracks. Regardless of what the Telegraph claims to have found, it is physically impossible for a missile fired from the Telegraph’s position to have intercepted MH17. 6. Image 9 presents a detailed close up of three Ukrainian Buk positions within range of MH17’s course. Each position was triangulated by range and bearing from the data supplied by the Russian Federation in its July 21st presentation. The resulting positions were then transferred to the map imagery used in this post. 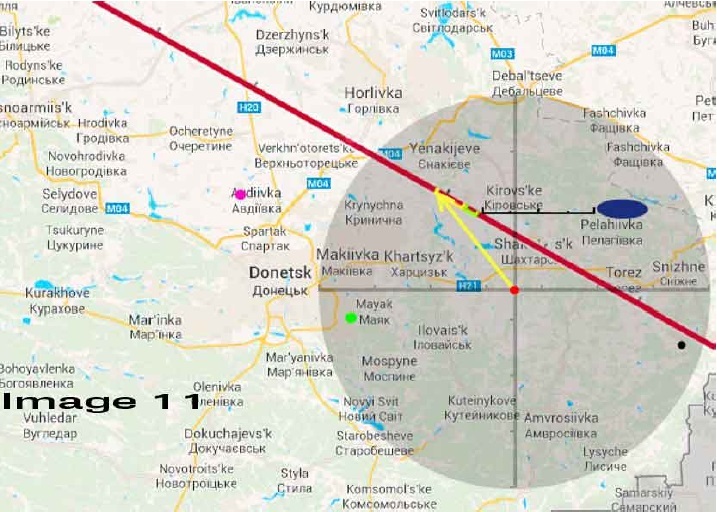 Three Buk TELARs were within range of MH17: a TELAR at Avdiivka (Purple dot), Mayak (Green dot) and Shakhtars’k (Red dot). All three of these positions were likely networked with the search radar in Styla and would therefore have had the benefit of the extended range and target discrimination offered by that radar. The Avdiivka position is within range but would have engaged at the limit of its missile range. A missile fired from this position would have engaged in target pursuit and this is not an optimal firing solution. In addition, a missile fired from this position would have approached MH17 near its tail section and this area of the aircraft would have suffered the heaviest damage. The publicly available tail imagery shows the tail to be void of marks made by explosive shrapnel. For this reason the Avdiivka position is discounted. Mayak is within range but in this case the missile would approach MH17 from the beam. The midsection would suffer the greatest amount of damage. Since the missile explosion launches white hot shrapnel at the target, and a missile approaching from this bearing would explode over the wing area, it is highly likely that it would have ignited a fuel tank fire. The video imagery of MH17’s descent show no sign of flame until the moment of ground impact at which point a fireball erupts. This fireball likely resulted when the intact fuel tanks, contained within the wing structure, struck the ground, burst open, and sprayed a cloud of fuel which immediately ignited. Images from the debris field show the central section of the aircraft to have burned completely away. If a missile from Mayak brought the aircraft down it would likely have fallen in flames. 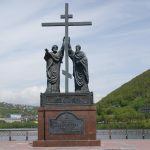 The Mayak position is therefore ruled out. This leaves the position south of Shakhtars’k shown in Image 11. This position offers an optimum firing solution as the aircraft will be approaching the launch position rather than moving away from it, thus avoiding pursuit mode. 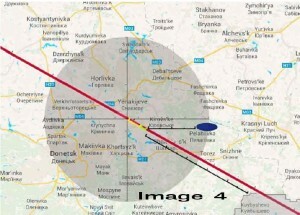 MH17 is clearly within the 35 km missile range. The missile would have approached the aircraft from ahead on the starboard side. Buk missiles are designed to explode approximately 50 feet from the target and from a position slightly above the target. An explosion in this position would obliterate the starboard side of the aircraft cockpit (It is doubtful the starboard side will ever be found) and the shrapnel would have blasted through the cockpit area and exited on the port side. This is consistent with imagery obtained from the debris field. The graphs of angles of missile fire are also carefully analyzed in the report. 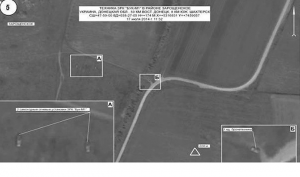 All these data fused together indicate that the perpetrator of the fatal launch was the Ukrainian Air Defense unit of the 156th Anti-Aircraft Regiment stationed since at least morning July 17, 2014 at 8 km to the south from the town of Shakhtars’k. Most likely that was a deliberate attack against civilian aircraft committed under the pretext of a “training launch”. 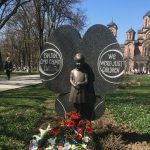 in 1983 a similar event sparked international outrage against the soviet authorities,in spite of their legal right to do so.now the question remains:like in the 80’s,will this “accident” help rally public opinion to support a major war in Europe?